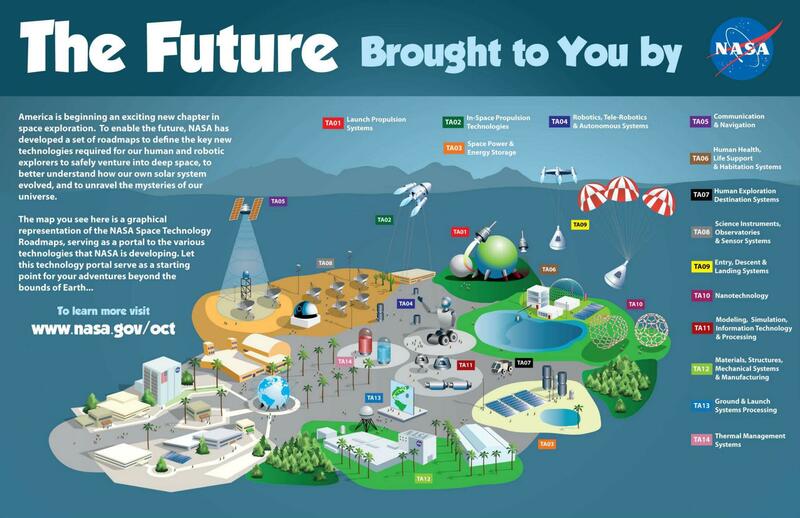 The “Future Brought to You by NASA” was developed by the graphic design team I led in support of the NASA Office of the Chief Technologist (OCT). Much like the Global Exploration Roadmap, we developed the concept for the graphic, designed the components, and also created an interactive iPad-ready version. The interactive infographic even received a nice writeup. The infographic describes the Technology Areas where investments will advance American space capabilities. The information presented in this infographic is distilled from the NASA Space Technology Roadmaps. This design balances between presenting the reasoning for scientific research and technology development while explaining the data in a whimsical fashion. This storytelling technique helps bridge the gap between NASA engineers and the larger American audience. For a better look of the graphic, here’s a high-resolution version. For additional information on the infographic, this is an open.nasa.gov blog post on why it was developed.